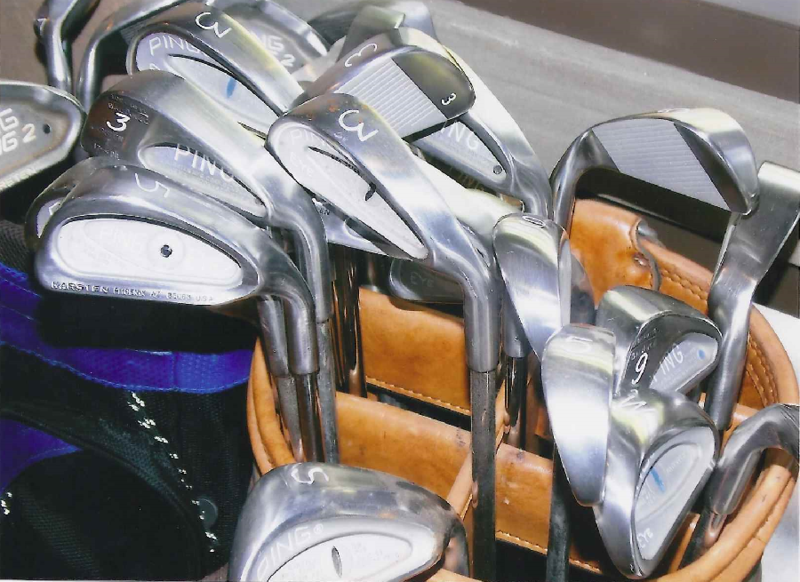 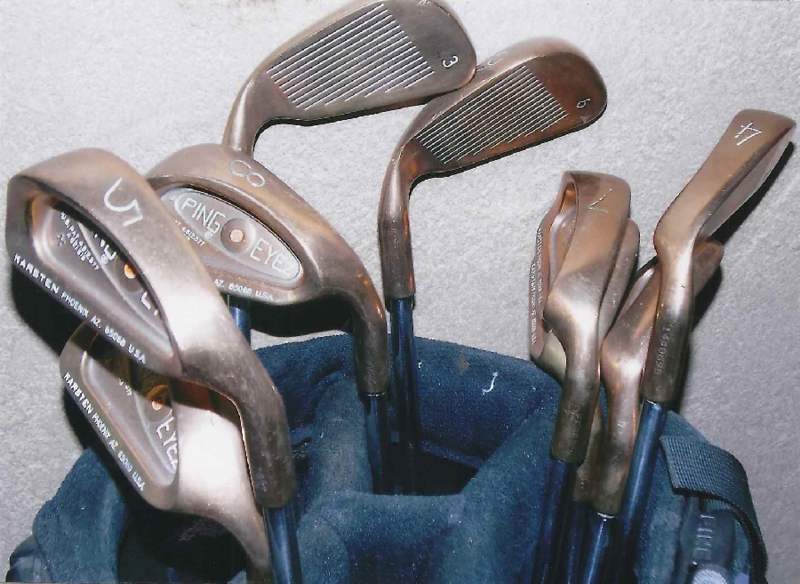 Here is a collection of golf clubs for sale. 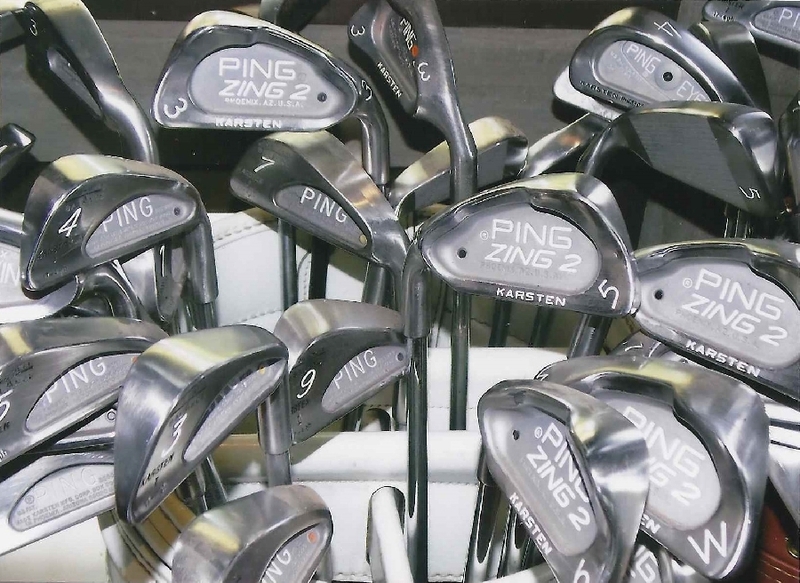 A set of Ping Eye 2 irons. 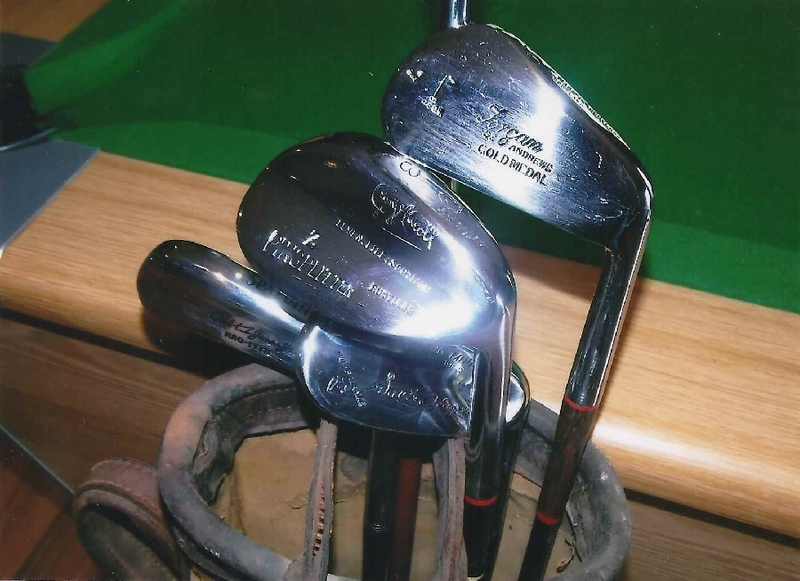 Walter Hagen 2 wood and assorted irons. 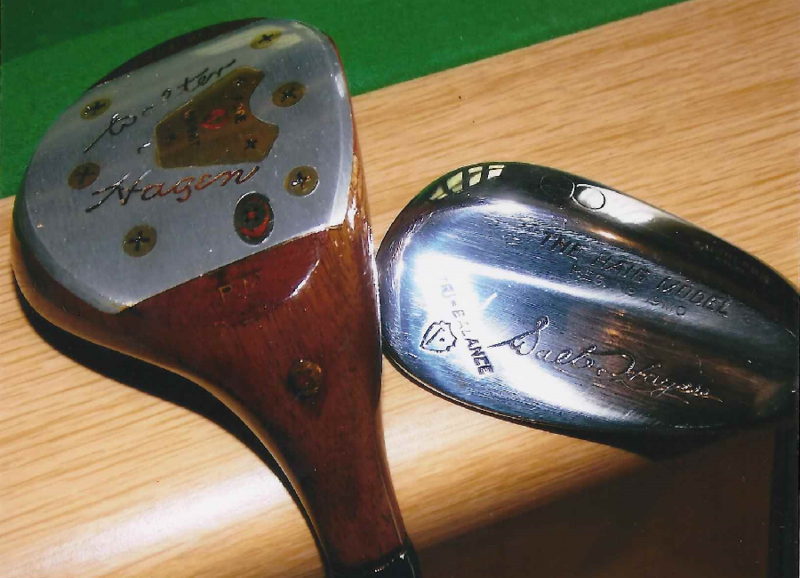 Forgan Gold Medal St. Andrews irons. 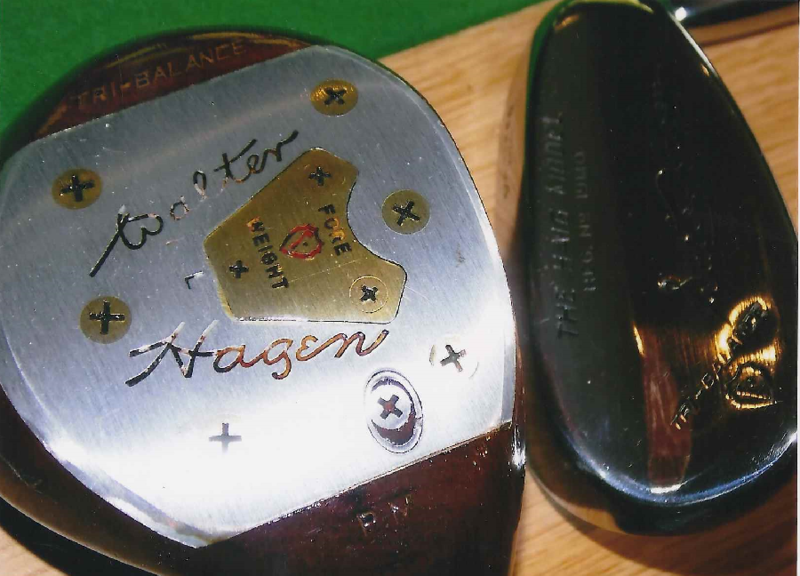 Walter Hagen driver and 8 iron.